Logline, synopsis, treatment, outline, epic poem — do you know the difference? We threw in that last one for kicks, but when you’re writing and selling a screenplay (or a finished film), you really do need a handle on industry-standard story summaries. You need to know their purposes, how to write them, and at what stage in the process to attack each one. Probably the trickiest tool in a screenwriter’s arsenal is the synopsis. For veteran scribes and newbie writers alike, the movie synopsis tends to live in a confusing gray zone between logline and outline, between blurb and full script, between sales brochure and creative writing roadmap. So what is a synopsis? Well, it’s not a treatment — that’s a start. Read on for a complete guide to the film synopsis, including how to write a synopsis that will make people clamor to get involved in your project. 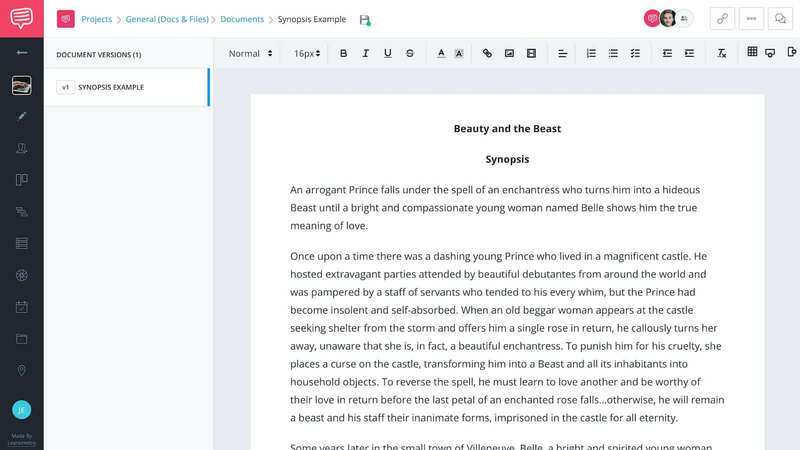 We’ll also provide a synopsis template you can use to get started right away. If we’re talking about writing a synopsis, then we’re talking about summarizing a screenplay you’ve already written, or maybe even a movie you’ve already got in the can. A treatment, on the other hand, is more of a writer’s guide — a step-by-step, scene-by-scene outline of what happens. Treatments and outlines are generally used when writing is in progress. They can be messy, unconventional, and utilitarian, since the only “audience” is the writer, or writers. A synopsis comes afterwards, and generates interest in the completed screenplay (or film) among agents, managers, producers, and other collaborators. A synopsis is a summary of your script or film written to inspire interest in your project. As an industry-standard sales tool for a screenplay or film, however, a synopsis should be one to three pages in length. It’s your project’s ideal full “elevator pitch,” in written form. Now that we know where we stand, close your eyes, take a deep breath, and think of your story. What’s interesting about it, what’s relatable, what’s memorable? What’s it about at its core? Forget marketplace concerns, career worries, the errands you have to run later today — just clear your head and think of your story. Now open your eyes and write it down in a sentence or two. Do it again, and this time write it differently, in a new sentence or two. Don’t overthink it, just write your story in — that’s right — logline form. Next, pick the best logline you see in front of you and play with it further. Tease out a major reversal, a key juxtaposition, a counterintuitive twist. Focus on action. Polish your logline. Read it out loud. Make sure it flows, make sure it sounds right. Pow — congratulations. Not only do you have your logline, but guess what? You also have the first sentence (or two) of your synopsis. An arrogant Prince falls under the spell of an enchantress who turns him into a hideous Beast until a bright and compassionate young woman named Belle shows him the true meaning of love. A logline is a one- or two-sentence summary that describes the central conflict of the story and hooks the reader or listener. You can see why starting your synopsis with your logline makes sense. The goal is to hook the reader, so hook them! And then go deeper. First, you’ll introduce your main characters, the world they inhabit, and the larger story. Here and throughout, write in present tense, third person. You know the “introduction” to your screenplay, those first 10 or 15 riveting pages that ignite the story? Summarize them here in your synopsis, and do so in about a paragraph. What’s the time period? What’s the setting? Who are the characters? Why do we care about them? You’re putting the wheels in motion for the story that follows, so convey what readers need to know before they launch into your journey whole-hog. Keep it simple. Don’t overcomplicate. Set the stage, the players, and the action that gets the story going. How to write a synopsis for a movie. Note that with characters, you’ll want to focus on temperament and personality as opposed to physical appearance. Although if your main character is a huge hairy beast, this might bear mention. Highlight action, and the forces that drive action, when you set up your story here. Then, summarize the rest of Act One in another paragraph or two. It’s okay to include a line or two of dialogue in a synopsis, as long as you don’t turn it into a full-on script. Never forget that you’re telling a story for the screen, so keep it visual, cinematic, and of course exciting. Keep up the energy and emotion. Tell this middle section of your story in four paragraphs (or up to eight if you need) and make sure to include any set pieces or major sequences. A wild chase, a hilarious scene, an intense confrontation — get into them, and take a breath to reset as you write. In any synopsis, especially in Act Two, writers tend to fall into “chronology mode” and simply recite the beats in a stolid step-by-step fashion. You’ll want to stay engaged, imagine yourself in the reader’s shoes in each and every sentence of your synopsis, and give attention to the cause and effect of your story points. Don’t only tell what happens, but why it happens, what causes each beat, how the characters feel about it, and how it leads to the next sequence of events. How to write a synopsis for a project. Your synopsis is no time to hide your cards — any twists or surprises that would get audiences talking need to see the light of day in your synopsis. Use your synopsis to generate interest by actually sharing the story, not by playing coy and teasing what amazing things the reader will find out by reading the full script. Encapsulate the last act of your story in two to five paragraphs. Here’s where your story arc ends with a bang. What have the characters done to get to this point, and what do they do about it now? Write in simple and descriptive sentences, and don’t be afraid to charge it with emotion. The experience you want the audience to have when they’re watching the end of your movie, the feelings you want them to feel as your story concludes? Put it all in your synopsis, attached to character and action. 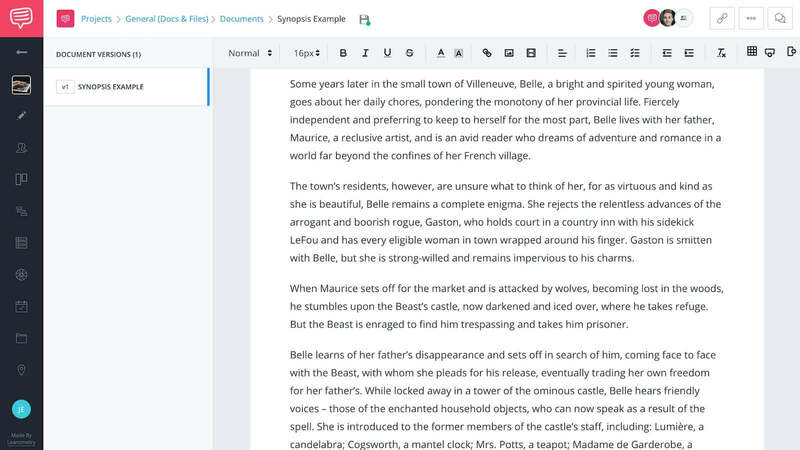 Write your movie synopsis more effectively with our FREE Movie Synopsis template. Enter your email address to receive it instantly. Since you’re writing your synopsis with an audience in mind, it’s important to run it by an actual audience before you blast it all over Hollywood. What is a synopsis? It’s a written pitch — so practice your pitch by sharing your document. Run it by a friend, a spouse, a bank teller, anyone you trust. Other screenwriters and filmmakers make excellent critique partners. Also, the synopsis length guidelines (one to three pages total, paragraph estimates for each act mentioned above) are just that — they’re guidelines. If your logline is three sentences and it absolutely can’t be any shorter, don’t beat yourself up to whittle it down. If Act Three in your synopsis comes out to a lone gripping paragraph, don’t worry about dragging out a second. It accurately tells the story. You can emphasize certain points, but overall, the synopsis has to honestly reflect the story in the script. It make sense. The language has to flow and the story has to be understandable and clear throughout. Subverting expectations and including surprises can be good, but you don’t want readers to be flat-out confused at any time. It can be succinctly and easily retold. If it all goes well, someone’s going to read your synopsis, love it, and tell his or her colleagues about it. Here’s why starting a synopsis with a logline is crucial, but beyond that, your entire synopsis must tell a unified, clear story. What Is Plot and Why Does It Matter? Writing a synopsis comes down to telling a story, summarizing all the elements that make up a screenplay to entice a reader to crack open actual script pages. Now that you’ve written your plot synopsis, let’s take a closer look at plot in general. Plot often gets confused or conflated with the characters, setting, and theme, but it’s more than that. Check out our next post to find out how you can build a great plot for your story.